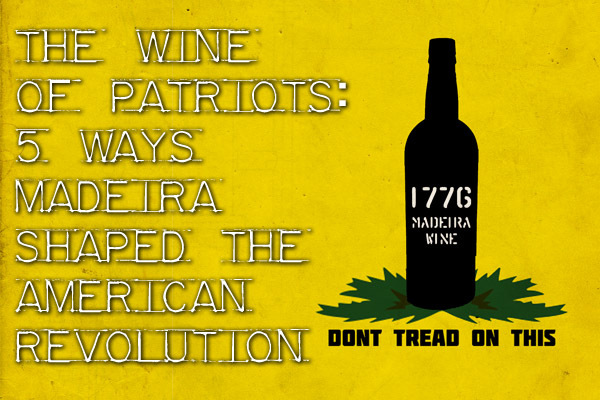 Thomas Jefferson, America’s third president is renowned for being the country’s first oenophile-in-chief. Seeing wine as the compromise between prohibition and saloon-style intoxication, he fervently believed that “No nation is drunken where wine is cheap; and none sober where the dearness of wine substitutes ardent spirits as the common beverage.” From starting America’s first commercial vineyard venture with Philip Mazzei at Monticello to filling his many cellars with some of France’s finest vintages, Jefferson’s unbridled passion for wine is very well documented. Less known however is the president’s strong devotion towards food and agriculture. Reportedly growing 300 varieties of vegetables at his Virginia estate, including 30 kinds of peas and cabbage, Jefferson was well ahead of the curve in terms of the whole farm-to-table movement that is currently gaining steam across the nation. And his dinners at the Executive Mansion (it wasn’t called the White House back then) were legendary, with the president spending enormous sums out of his own pocket to lavishly entertain both dignitaries and guests. A new book by historian and IW&FS member James Gabler sheds new light on exactly what the president ate and drank, from his time living in Paris as the Ambassador to France to his post-presidency. Published in 2015, Dine with Thomas Jefferson and Fascinating Guests offers readers a candid view of what it was like to wine and dine with such a legendary head of state. 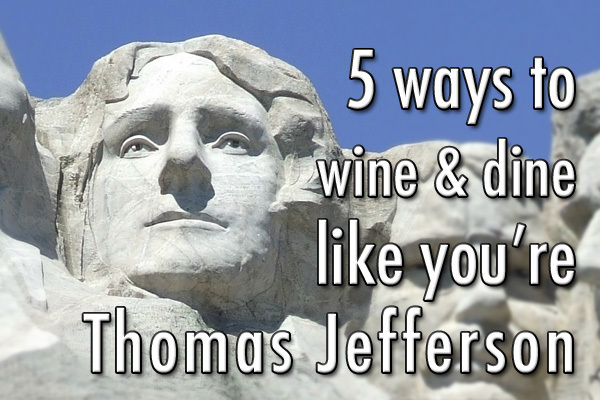 So have a look below at five dishes and wines that Thomas Jefferson and his guests consumed as they discussed everything from the French Revolution to the Louisiana Purchase. 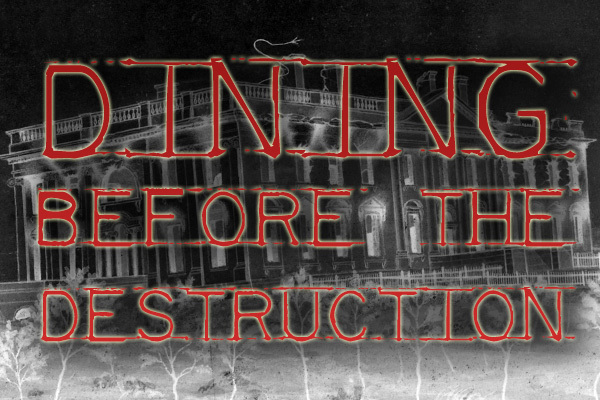 In a large dining room overlooking the Champs-Élysées in June of 1788, Jefferson and his guests anxiously await the next dish. After finishing their oysters paired with Burgundy, an Italian meal that is very fashionable in France known as Macaroni with Cheese is served. “The best macaroni is made from a particular flour called semolina, from Naples, but in almost every shop a different sort of flour is used, but if the flour is of a good quality, it will always do well,” remarked Ambassador Jefferson. 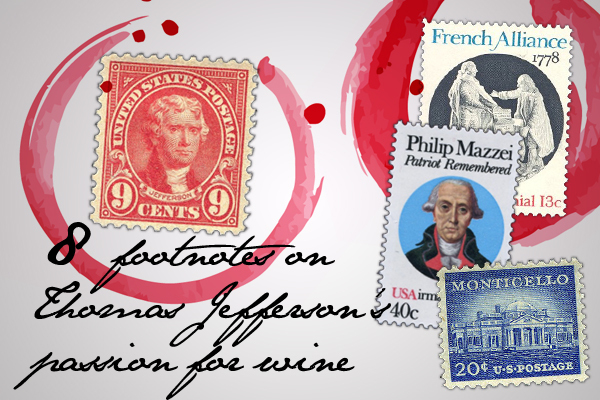 As someone who drank nearly everything that Bordeaux and Burgundy had to offer, one might wonder what exactly was Jefferson’s favorite wine? Through primary source documents, we learn that Chambertin and Montrachet clearly topped the list. But nothing can compare to white Hermitage, which Jefferson called the “first wine in the world without exception.” So impressed by this region, he gladly purchased 550 bottles during his presidency. What's your favorite dish from this posting? It won’t accept my vote which is dressed turtle seasoned with Madeira, and I’ll also have a fish of bear.